Even Willows Weep is book number two in the Bye For Now trilogy. This second book continues to follow Callista Lamply, on her journey in becoming a young professional art therapist, working with children dealing with cancer. Enter Pheonix, an imp of a child, dealing with her terminal cancer the best she can. Strangely, Callie has had visions of Pheonix in her dreams and shock registers now, having Pheonix, in the flesh, here at her art table. Callie becomes emotionally attached to this young girl as she prepares herself for the inevitable. This task of pushing facts aside so that she can continue to honor her professional duties becomes monumental with each tick of the clock. Maddie, Callie’s best friend and roommate, is a quirky little thing leaving nothing to the imagination. She has no filter which, oddly enough, Callie finds endearing. Maddie made the leap, leaving Connecticut to start fresh in Missouri and try as they might to run from their past, history seems to be repeating itself. Will this cause Maddie to resort to her coping mechanisms that nearly cost her her life years ago? Meanwhile Callie's brother Jimmy believes that he is happily living with his wife in their quaint cabin on Lake Carmi. However, the veil of deception is lifted leaving Jimmy with pain and uncertainty. He forges ahead in his role of a lifetime, becoming a father, unaware that the Sandy Hook tragedy looms ahead. When dreams of lost love, causes images, voices and emotions to bubble up from the recesses of her mind, Callie wonders if she has finally found what she truly wants in life. Each will decide their fate by allowing that little voice within to be heard. Tell us what you love about this sequel. I really enjoyed writing this sequel. We continue to follow the main character, Callie, a few years after she leaves college, picking up where the first book ended. There are many twists that occur in this book that I didn’t see coming. There was one particular disturbing scene that I questioned, “that was dark. Where did that come from?” I really enjoyed watching these characters live their lives, growing and changing. I just never knew what was going to happen next. Are you doing anything differently in your publishing process from your first book? I’m basically following the same protocol. 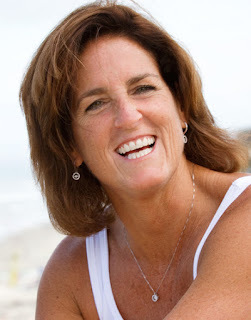 I’m still self-publishing through createspace and following the steps in Stacy Dymalski’s book Nine Steps to Self-Publishing Your Book: The Memoir Midwife. It seems to work well for me. I have to say, having one book under my belt made the second that much easier. The process wasn’t as daunting. 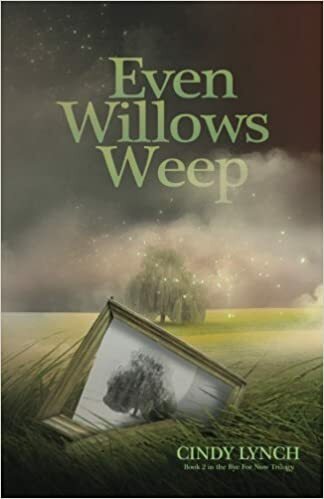 Introduce us to a character in Even Willows Weep. Duncan Campbell is a suave, shaggy haired, bedroom-eyed musician that sweeps Callie off her feet momentarily. He has a roaming eye, but seems to be just what Callie needs at the moment. He was a lot of fun to write. There are several new characters that appear in this book. I had to create new friendships and relationships. I’m pleased with how it all turned out in the end. I want my readers to tell others that the book feels edgier than the last. My hope is that the readers can sense some growth happening within each character. Sometimes this growth isn’t positive, but that makes those characters more interesting. I especially want the reader to feel some kind of emotion through out the story. I just finished Folly Beach by Dorothea Benton Frank. It was a light, fun read. I’m in the middle of Hollow City, the sequel to Miss Peregrine’s peculiar children. I’m really enjoying the ride in this one. I think Ransom Riggs did something clever that I had never seen done before. He took old black and white photos he found and create a story around them. My next book will be the final installment in the Bye For Now trilogy. As of yet it is unnamed and unwritten. I know where I want to take the characters, but I’ll just have to wait and see where they want to take me. I’m excited to see what journey they have in store for me. After the final installment is finished and published, I’ll begin to work diligently on my first attempt at non-fiction. I’m very excited about that challenge. Thank you for the opportunity to get my stories out there! ~My pleasure, Cindy, best wishes!